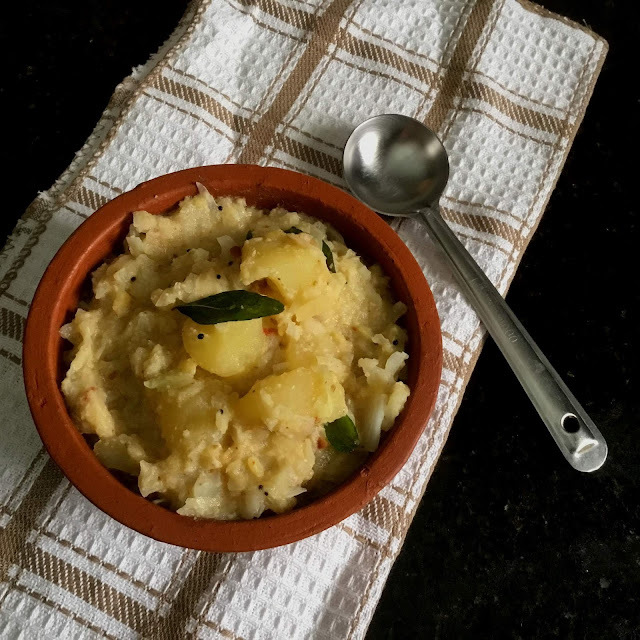 Cabbage Potato kootu is one of my favourite side dishes for Pulikuzhambu. 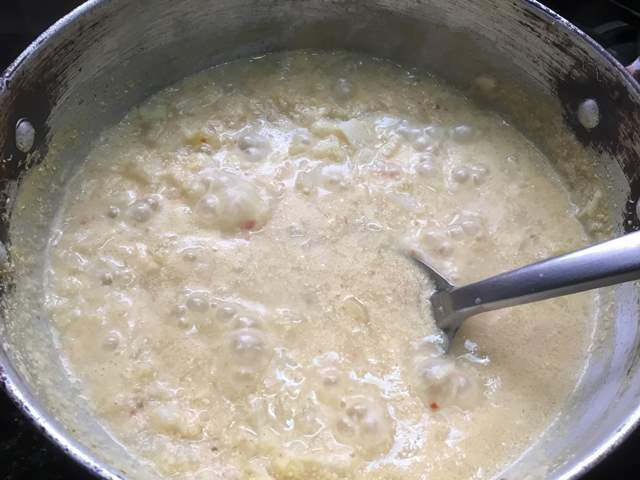 Along with cabbage, potatoes, moong dal and coconut paste are also added in this kootu. 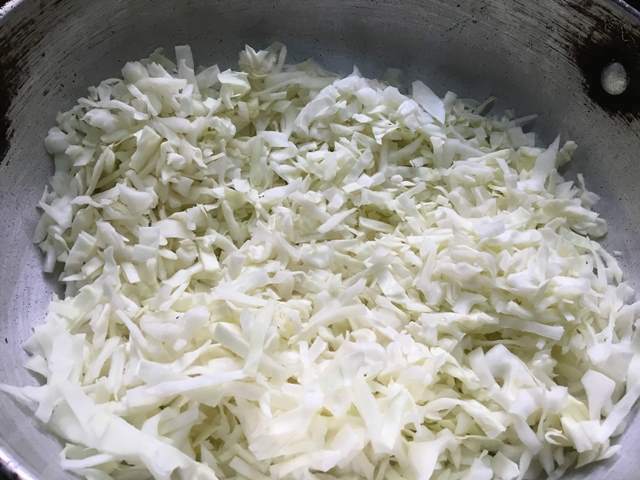 People generally eat stir fry with cabbage and many people don't know this yummy and healthy kootu with cabbage. I felt that there is no raw smell of the cabbage in kootu when compared with stir fry. 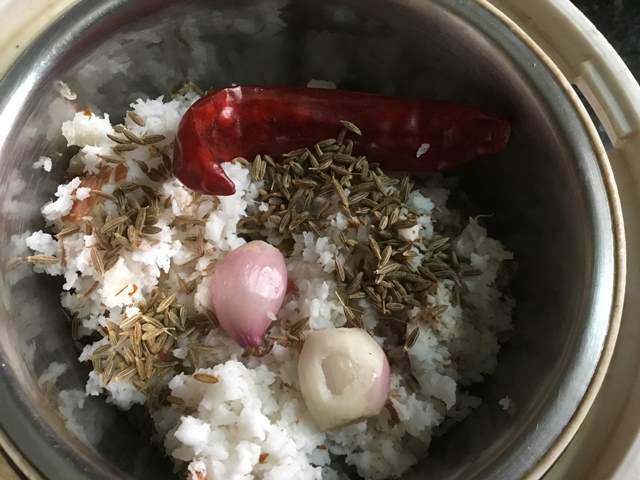 This kootu goes well with sambar, rasam, pulikuzhambu, karakuzhambu and tomato rice. In addition to potatoes and moong dal, you can also include cooked chickpeas or green peas. Prolonged cooking the cabbage on high temperature will result in losing the beautiful colour. Hence it is important to cook the cabbage on medium heat with correct time. 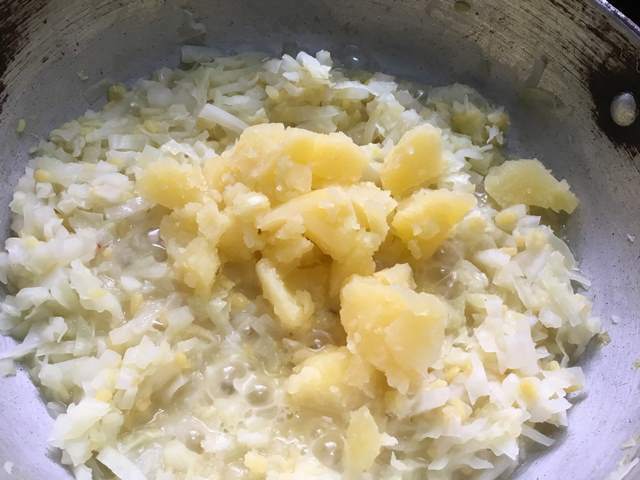 If you are planning to cook in a pressure cooker or pan, cook for 1 whistle on medium heat and slowly release the pressure to maintain the colour and texture of the cabbage. 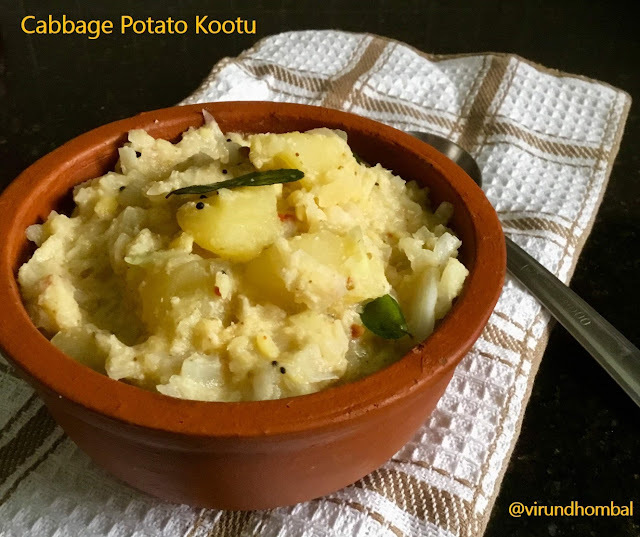 Now let's see how to prepare this Cabbage Potato kootu with step by step instructions. Wash and chop the cabbage evenly without any solid pieces. 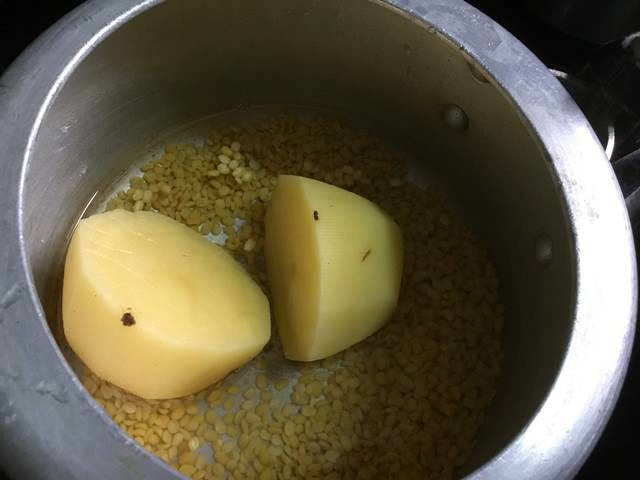 Take a small pressure cooker and add the moong dal and potato. Add 3/4 cup of water and pressure cook for 2 to 4 whistles. Allow the pressure to settle down naturally. Take a wide pan or kadai and add the chopped cabbage. Sprinkle a handful of water with your palm around the cabbage and cook them on medium heat. Close it with the lid and cook for 7 to 9 minutes. 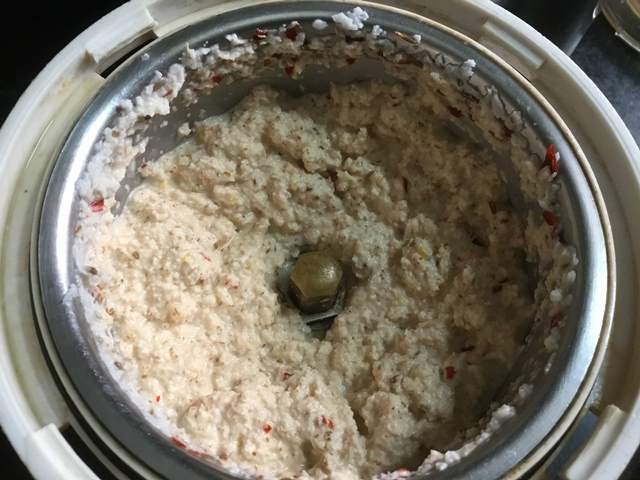 In the meantime, grind the coconut, red chilly, small onions and cumin with 1/4 cup of water. 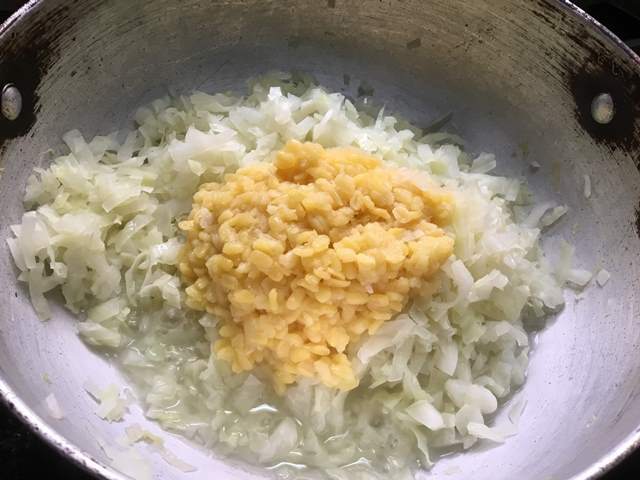 When the cabbage turns soft, add the cooked moong dal. Mix them well and add the mashed potatoes. Add the required salt and mix them well. 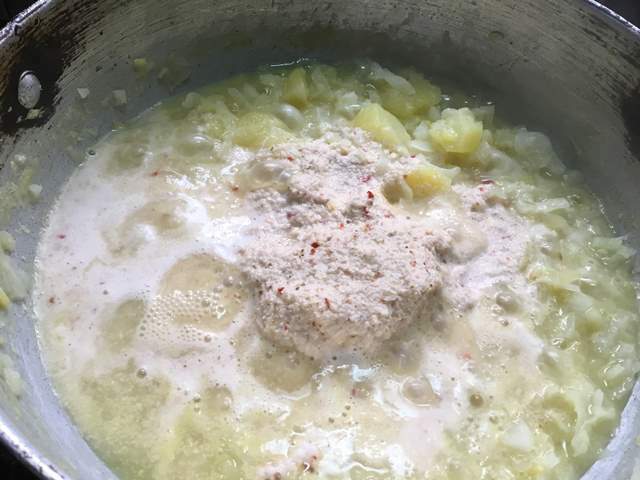 Next, add the ground coconut paste and some more water and allow the kootu to boil for 5 to 7 minutes. When the kootu appears thick, turn off the heat and add in the cold milk. Mix them well. Heat oil in a pan and add mustard and urid dal. When it splutters add the curry leaves and turn off the heat. Add it to the hot kootu and mix them well. Transfer the kootu to the serving dish. 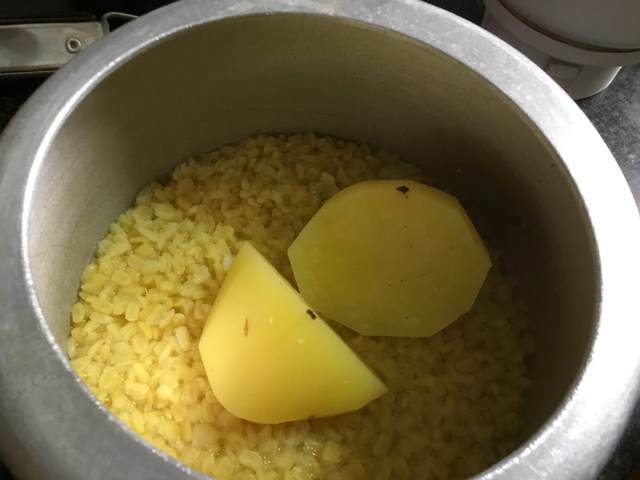 Take a small pressure cooker and add the moong dal and potato. 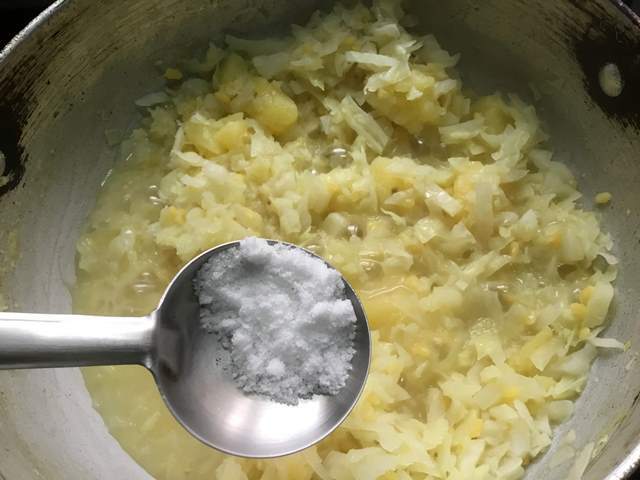 Peel the potatoes before cooking, as it is easy to mash the potatoes. Add 3/4 cup of water and pressure cook for 2 to 4 whistles. Allow the pressure to settle down naturally. Take a wide pan or kadai and add the chopped cabbage. Sprinkle a handful of water with your palm around the cabbage and cook them on medium heat. Close it with the lid and cook for 7 to 9 minutes. Stir in between for uniform cooking. Sprinkle some more water if required. When the cabbage turns soft, add the cooked moong dal. Mix them well and add the mashed potatoes. Heat oil in a pan and add mustard and urid dal. When it splutters add the curry leaves and turn off the heat. Add it to the hot kootu and mix them well. 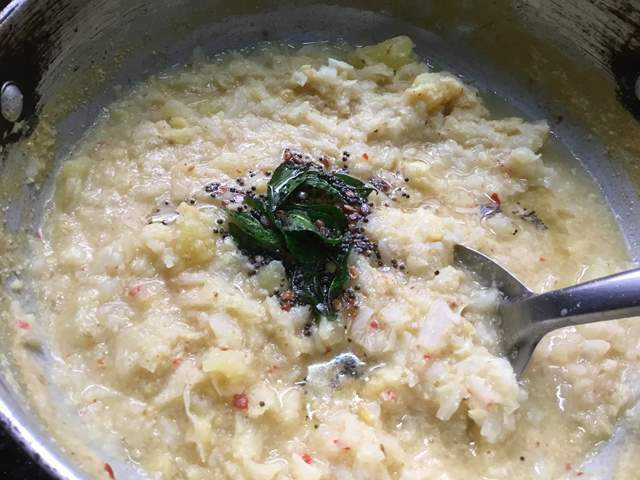 Healthy and yummy Cabbage Potato Kootu is ready to serve.